Equality Rocks | I'm not stalking you. This week I learned that my car cannot get fixed if there is no Internet. I mean, I understand that stores can’t load gift cards or access your EBT account without Internet, but car repair? So, on Wednesday, after a rather large storm, mind you, I took my car in to get it looked at. The car dealerships Internet was down. With no Internet capabilities, they could not plug in my car to the diagnostic to see what was wrong. They could not access my warranty information to see if it was covered. So, I left my car there. The dealership was nice enough to give me a ride home. I assumed I would be picked up again by the end of the day. I didn’t get my car on Wednesday. Or Thursday, for that matter, although, to be fair, I did add another repair onto my order for the dealership. 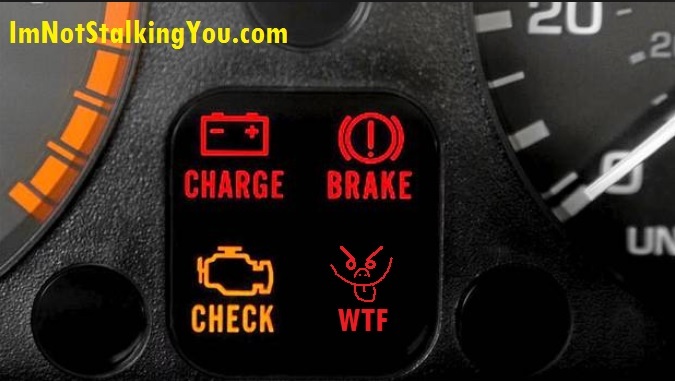 The warning lights only indicated that the sensor was bad, and needed to be changed. My husband was disgruntled that I didn’t get a loaner car. I was grumpy because they had my car there to work on at their leisure. I assume they probably gave priority to the customers who were waiting in the lounge, repairing their cars first. I learned something else this week as well. Let me tell you a little story. You know how sometimes you hear music in your head, like a certain song that just won’t stop? Well, in high school, I used to have Garth Brooks and George Michael singing in my head. At the same time. Singing different songs. This went on for weeks, maybe months. Long enough that I still remember it to this day. It made me realize that they both had really nice voices that actually went pretty well together. I also realized this dueling music in my head made it hard to concentrate on listening to the boring teachers. I actually just found out today that this magic in my head actually became a reality back in 2000. I found the video below of Garth Brooks joining George Michael on the song “Freedom” at an event called Equality Rocks on YouTube. Garth shows up at the 2:30 mark. See below. 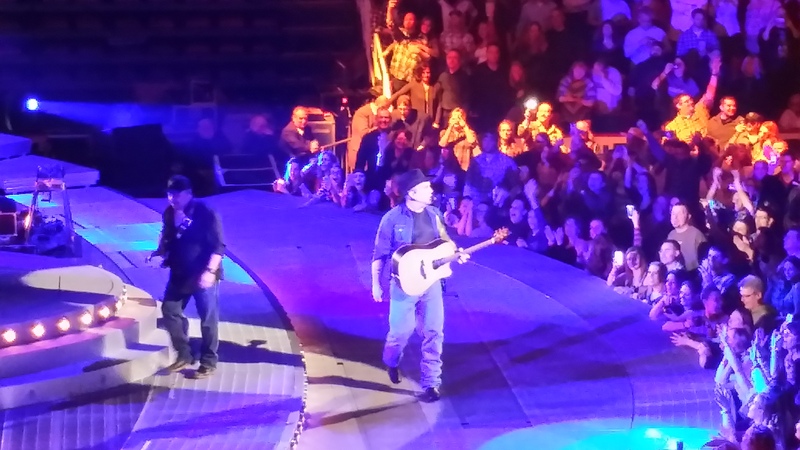 Have I mentioned that I was fortunate enough to see Garth Brooks in concert this year? Thanks Patti Keno! My first book, The Wind Could Blow a Bug, is NOW AVAILABLE! Posted in A day in the life, Entertainment Worship & Review, What I Learned This Week and tagged automotive, car, concert, dashboard, Equality Rocks, Freedom, Garth Brooks, George Michael, light, malfunction, Mr. Ugly-Man, repair, warning. Bookmark the permalink.